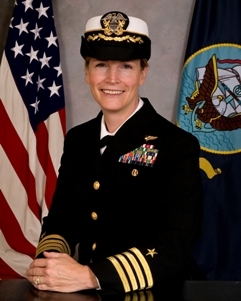 Captain Sara Joyner in 2010 became the first woman named to head a Carrier Air Wing. Her appointment was announced at the 23rd annual Women’s Leadership Symposium in Washington. This photograph comes from the U.S. Navy.